The Kremlin has lashed out at Downing Street for failing to share crucial intelligence that indicates Saturday’s Russian passenger jet crash in Sinai, which killed all 224 people on board, was caused by an Islamic State bomb. 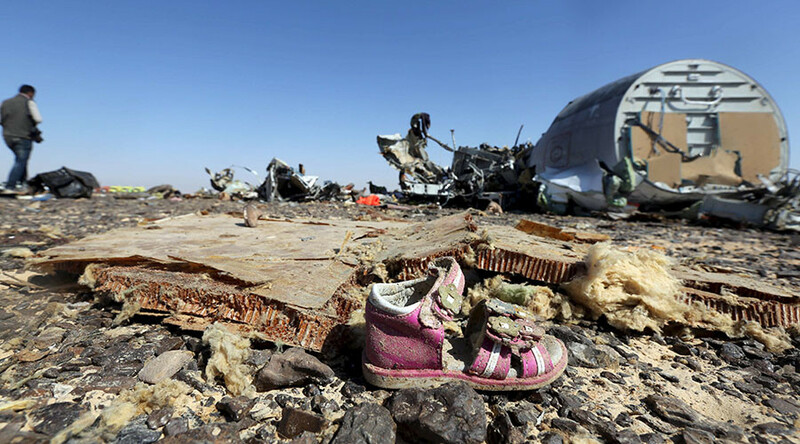 Six days after the tragedy, which left 25 children dead, Russian and Egyptian investigators are yet to reach a conclusion on the causes of the crash, but had been focusing on a potential technical fault, according to The Independent. However, doubts were cast on the theory when Prime Minister David Cameron announced on Thursday that it was “more likely than not” that a bomb caused the crash. Prior to this, the UK government had ordered all flights between Britain and the Egyptian resort of Sharm el-Sheikh to be suspended. According to ITV News, a piece of “signals intelligence” picked up by GCHQ drove the decision. During a 10-minute telephone conversation between Cameron and Russian President Vladimir Putin on Thursday, the PM was accused of “acting before he knows the facts,” according to tabloid The Sun. Cameron defended his actions and told Putin that he does not regret suspending the flights as he did it to “protect” British citizens. Critics, however, are questioning why Britain is withholding intelligence that could possibly prevent another terrorist attack. “It is genuinely shocking to think that the British government has some kind of information that could cast light on what happened in the skies above Egypt,” she told Russian media. UK Foreign Secretary Phillip Hammond said there is a “significant possibility” that Islamic State bombed the plane. UK officials believe a bomb was placed in the baggage hold of the downed airbus at the Sharm el-Sheikh airport. In a statement, a spokeswoman for the PM said Downing Street could not comment on intelligence matters. She also did not confirm whether Cameron shared intelligence with Putin during the telephone conversation. “[President Putin] underlined that he thought all countries should wait for the investigation to be completed,” she said. New security measures have been put in place at Sharm el-Sheikh which mean British tourists can begin flying home tomorrow. In a joint press conference Thursday, Prime Minister David Cameron and Egyptian President Abdel Fattah el-Sisi said they would “work hard” to ensure flights to and from Sharm el-Sheikh were restored as soon as possible.